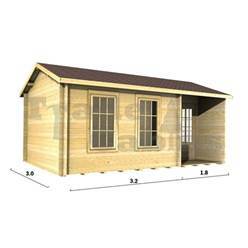 Log cabins fulfil a variety of different purposes, but if you decide to purchase a timber log cabin, you need to pay attention to the wall thickness. 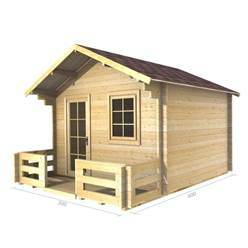 Cheaper log cabins will have thinner walls and vice versa. 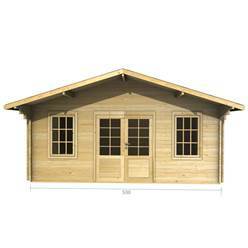 So why is ‘wall thickness’ so important and what features should you be looking for when buying a new log cabin? 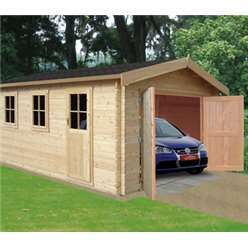 Simple log cabins are generally used as a shed to store tools, bicycles, sports and garden equipment, and anything else that doesn’t fit in the garage. 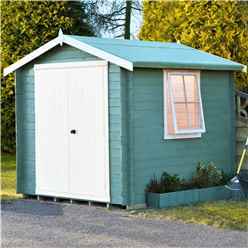 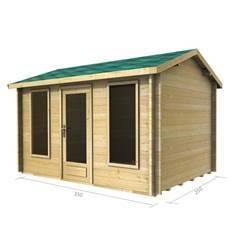 There are some very inexpensive sheds out there, but the reason why they are so cheap is that the timber is lower quality. 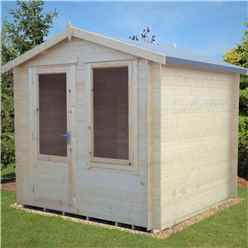 Cheap sheds are constructed from wood panels rather than tongue and groove, so joins are inferior and the overall quality is not good. 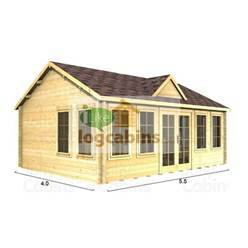 For this reason, a tongue and groove construction is always preferable because it protects the interior from drafts and leaks. Construction aside, wall thickness is very important. 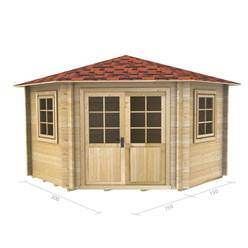 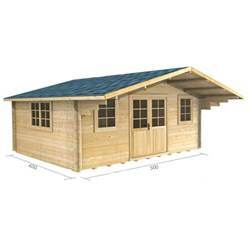 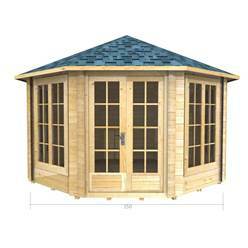 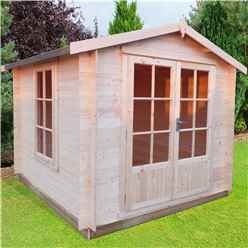 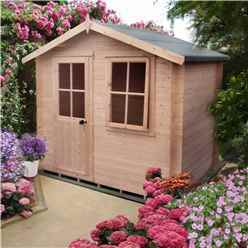 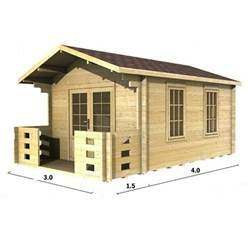 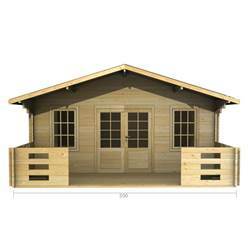 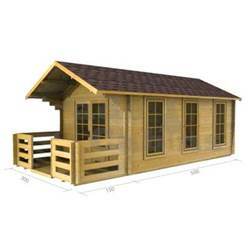 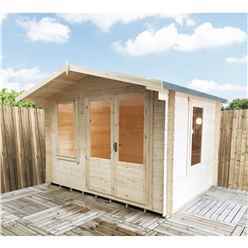 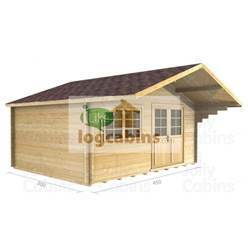 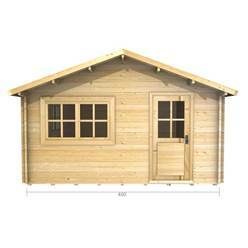 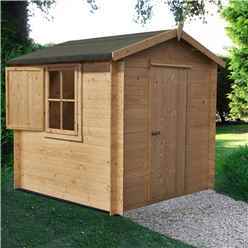 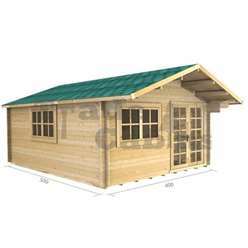 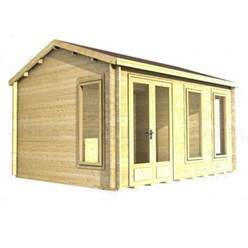 At the lower end of the scale, a log cabin/shed with a 19mm tongue and groove construction is ideal for occasional use as a summer house or kids’ play house. 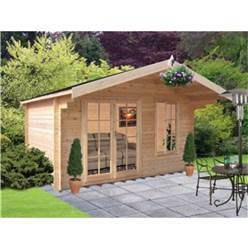 A log cabin with 19mm walls is also well suited to summer entertaining. 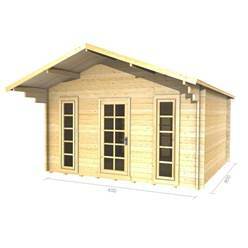 As long as the wood is sourced from good quality timber it will be sturdy enough to keep the weather out. 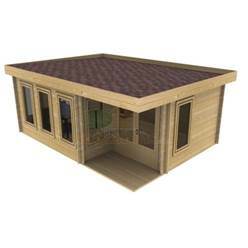 19mm walls are thick enough to provide some insulation in the summer, but once the weather gets cooler, you need to upgrade to a log cabin with thicker walls. 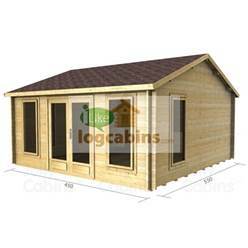 Log cabins with walls that are 28mm thick are a step up from the budget range. 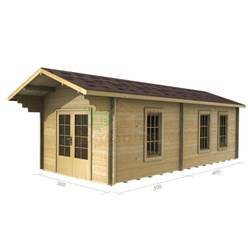 Slightly thicker 28mm walls mean you can use these log cabins in cooler weather because heat loss is reduced. 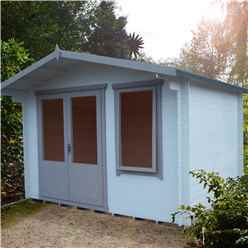 Rather than restricting your summer entertaining to the hot months of the year, a summer house with 28mm tongue and groove walls is ideal for parties held on warm spring and autumn days. 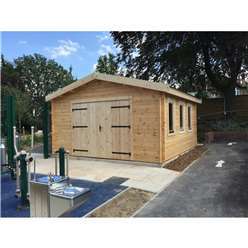 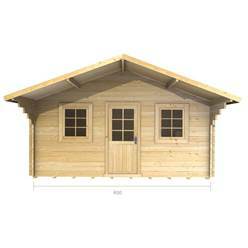 Your children will also be able to play out in their summer house when the weather is a bit cooler. 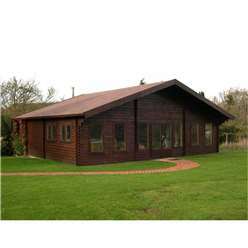 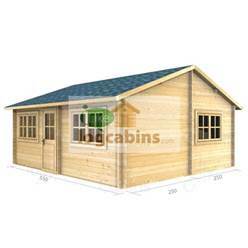 Are you looking for a log cabin you can use for the majority of the year? 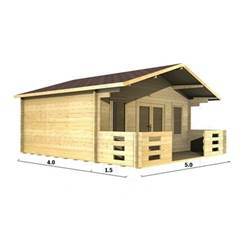 If so you need to select a log cabin with 34mm or 44mm walls. 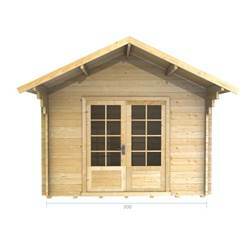 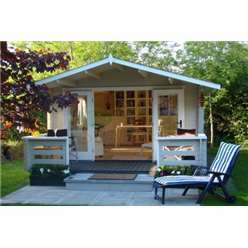 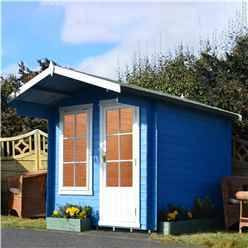 Cabins with 34mm walls offer more insulation against drafts and heat loss, so a summer house or garden workshop with this level of wall thickness can be used from spring through to autumn. 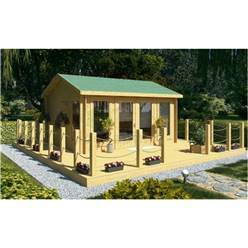 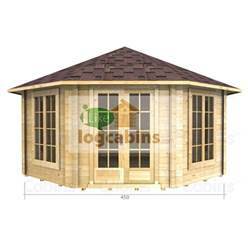 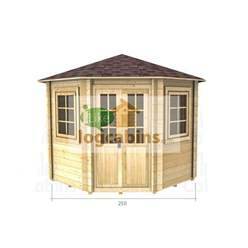 This level of wall thickness is very popular with people looking for a log cabin they can use as a garden workshop. 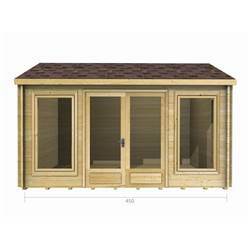 It is warm enough to be cosy on cool spring or autumn days and insulated enough to provide protection during the heat of the summer. 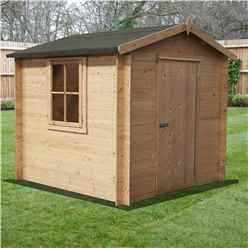 And if you feel a bit chilly, you can always plug a space heater in to keep the damp air at bay. 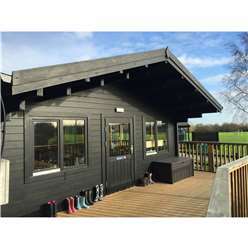 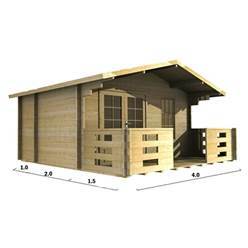 Timber buildings with 44mm thick walls are very popular because they are so versatile. 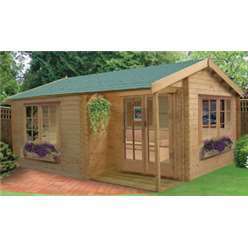 A log cabin with 44mm thick walls is usable for much of the year because it offers very good protection from the cold and damp. 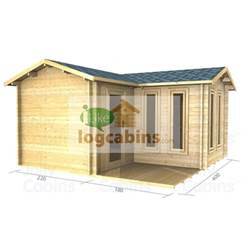 A 44mm log cabin would be ideal as a guest room in warmer weather, a workshop or hobby room, or even a home office for large chunks of the year. 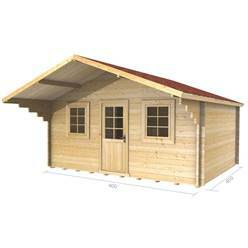 Log cabins with 70mm thick walls are the top the range. 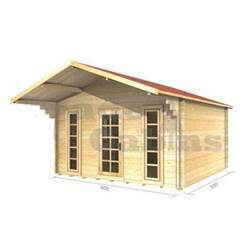 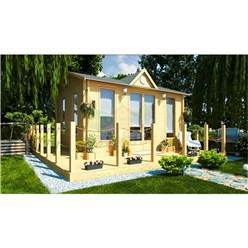 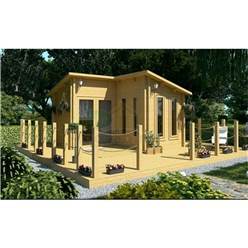 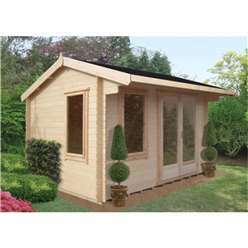 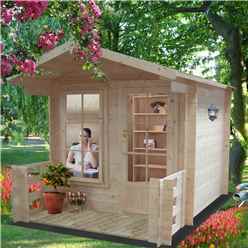 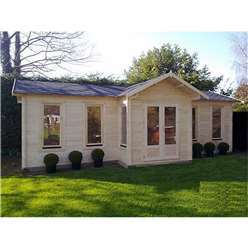 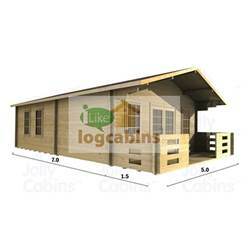 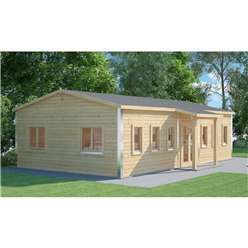 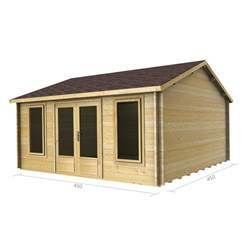 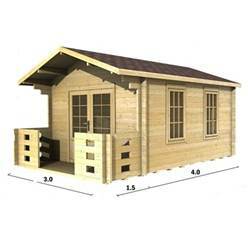 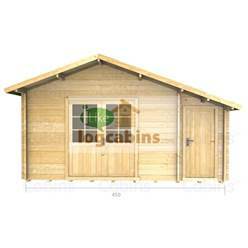 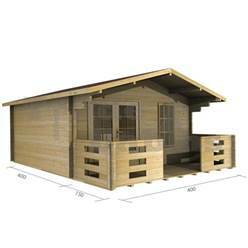 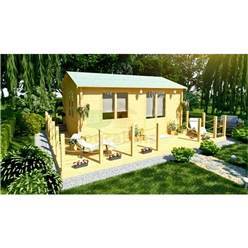 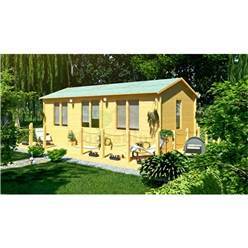 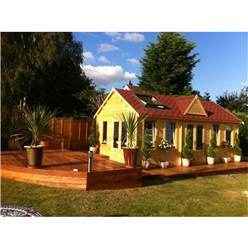 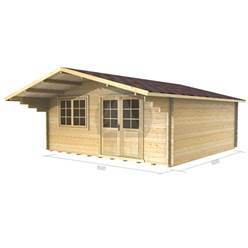 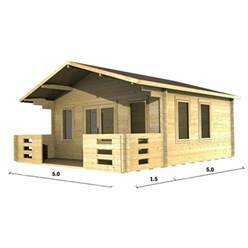 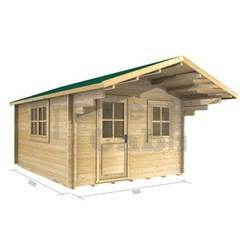 A timber log cabin with walls this thick is suitable for virtually any use you care to think of. 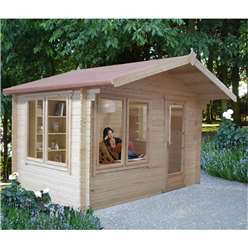 This type of log cabin is ideal for home offices since 70mm tongue and groove walls are dense enough to keep the heat in and the cold out. 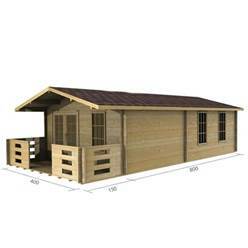 It is also a good option if you need a spare room or extra living space all-year-round, because even if the rain, sleet and snow are coming down outside, you will be warm and cosy inside your luxurious log cabin. 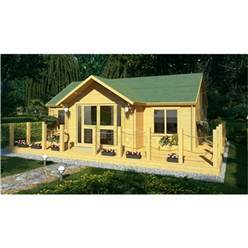 Before you select the log cabin of your dreams, think very carefully about how you intend on using your new building. 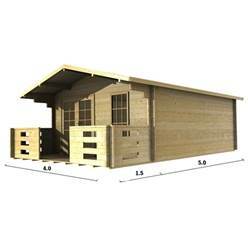 It is important to select the right wall thickness at this point, because although buying a lob cabin with thicker walls than you need isn’t a problem, buying one that isn’t insulated enough definitely will be a problem. 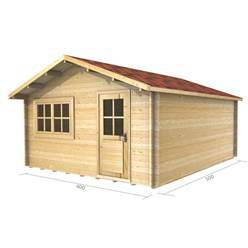 If in doubt, always err on the side of caution and upgrade to the next level of wall thickness. 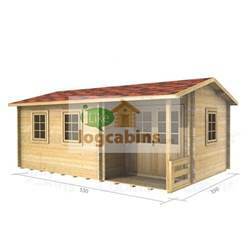 And if your budget is tight, purchase a small sized log cabin with thicker walls. 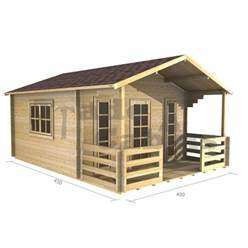 If you would like any further information about our products, call our customer service team today.